I read some literature that in some developed countries people who need donors for body organs wait for deaths after motor cycle accidents which are a sure deal. In Uganda the motor cycle transport came accidentally simply because Government over priced fuel. However, it is wrong for Government to take this as an advantage considering this mode of transport as reliable and worth for humans. Much as anybody should be free to buy a motor cycle, this should be for the buyers' transportation, but when it becomes business to transport humans then we are wrong and it is not acceptable. The cyclists are mostly youths, some are still in school and many times reckless drivres. It is absurd to see a Government which can invest in better transportation endorsing motor cyclists simply because it implemented a policy which makes it expensive buying fuel for transportation yet the motor cycles are econimical in consumption. In fact by now given the casualities we have seen, Government would ban commercial transportation of humans using motor cycles and leave them for cargo/goods. The Movement Government has done much to get loans to Uganda, however, if only this money is used for what it is meant, Uganda would be a better country. 2ndly, it is wrong for NRM to assume that borrowed money can be and should be used for campaign purposes. These are sins committed as we look on and people willpay for them when God's judgement comes. The World Bank Board of Executive Directors on June 22, 2010 approved a US$120 million International Development Association (IDA) credit* to increase agricultural productivity and incomes of participating households in Uganda. The five-year Agricultural Technology and Agribusiness Advisory Services Project (ATAAS) will also benefit from a US$7.2 million Global Environment Facility (GEF) grant to address land degradation and climate risk issues. Attached, please find a Press Release for more information. WASHINGTON, D.C., June 22, 2010 -- The World Bank Board of Executive Directors today approved a US$120 million International Development Association (IDA) credit* to increase agricultural productivity and incomes of participating households in Uganda. The five-year Agricultural Technology and Agribusiness Advisory Services Project (ATAAS) will also benefit from a US$7.2 million Global Environment Facility (GEF) grant to address land degradation and climate risk issues. The World Bank financing is only part of the larger total project cost amounting to US$665.5 million, of which the bulk of US$497.3 million will come from the Government of Uganda. The remaining US$41 million will be financed through development partners including IFAD (US$14 million), the European Union (US$20 million), and Danida (US$7 million). “This project represents the next step in the World Bank's long-standing engagement in the agriculture sector in Uganda which is among the top five priority sectors for public investment in the National Development Plan (NDP). Over 1.7 million Ugandans are expected to benefit from this project directly, and an additional 850,000 indirectly, making this operation of key importance for the structural transformation of the economy through value addition, export growth, and employment,” said Kundhavi Kadiresan, World Bank Uganda Country Manager. Over the past 18 years, the World Bank, through the IDA has invested in and provided technical support for the institutional development of National Agricultural Research Organization (NARO) and the National Agricultural Advisory Services (NAADS). This project seeks to further improve performance of agricultural research and advisory services that would contribute to increased agricultural productivity in a sustainable and environmentally-friendly manner. Agriculture accounts for 20 percent of Uganda’s gross domestic product. Though the sector grew at an average annual rate of just 1.3 percent from 2003 to 2008, exports of primary agriculture commodities, which account for over 50 percent of the country’s export revenues, grew 16 percent per year on average over the same period. Agricultural growth remains the important source of poverty reduction in the country. “Uganda is increasingly seen as a potential breadbasket for East Africa and this project is very timely because it coincides with regional integration initiatives. If Ugandan farmers can increase the quantity of their agricultural produce and at the same time address quality issues, they can tap into the East African market and raise greater revenues,” said Madhur Gautam, World Bank Task Team Leader for the Project. The ATAAS project will support key activities under five components implemented through NARO and NAADS. The first component (US$138 million) will focus on developing agricultural technologies, including for sustainable land management, and strengthening the National Agricultural Research System. The second component (US$72 million) focuses on enhancing partnerships between agricultural research, advisory services, and other stakeholders; and will be jointly implemented by NARO and NAADS. The third component (US$318 million), implemented by NAADS, will support improved delivery of demand-driven and market-oriented advisory services to farmers to promote their progression from subsistence to commercial engagement. This will be complemented by the fourth project component (US$63 million), which would promote integration of smallholders in value chains through matching grants, agribusiness services, and market linkages. The last component of project management (US$75 million) will be undertaken by both the NAADS and NARO Secretariats. Since 1963 when it started its support to Uganda, The World Bank has provided close to US$ 6.5 billion in loans and grants. The Bank has already committed US$1.2 billion to finance various programs and projects between 2009 and 2011. The Bank’s current portfolio in Uganda consists of 18 projects with a commitment of US$1.54 billion. As a measure to reduce on accidents as people cross the road at Kajjansi trading centre, a bridge was constructed. When the work was complete, the high tension wires were put in a cable and now they are passing underground. However, it is like Umeme may not be doing regular checks on this installation which could soon or later prove a time bomb moreso that it is going through a waterlogged place. The most deadly area is where this cable is crossing a drainage channel and the debris which is moved in this channel has eaten away the plastic cover on top of this cable! Unfortunately, fellows working nearby don’t know how deadly this area can be. Can Umeme or other concerned do something urgently, and may be it would be best to demarcate the whole area through which this cable passes so that petty business people keep away. 2ndly, it is not unusual for power to get off at Kajjansi trading centre either due to technical problems or over load and one time a truck popularly known as ‘magulu kumi’crashed into an electric pole and explosions were experienced. In such instances, the popular ‘kamyuffu’ are the relief. It is overdue for Umeme to have a resident office in Kajjansi trading centre instead of waiting to get calls from Kajjansi when there are power related problems. Can management look into this. Thank you for being so attentive to the problems of this young mother. CoRSU Rehabilitation Hospital and Centre is a Hospital established with a focus on children with disabilities below 18 years of age. Nevertheless, we also provide services for adults at a non-subsidised fee in orthopaedics and plastic reconstructive surgery. Unfortunately, we have no relation to pre- or post maternity issues. Due to this, unfortunately, I do not see where CoRSU could help. However, I invite you to see the Hospital so that you get an impression on what we do. Below find my contacts for an appointment. With best regards and hoping that Ritah will improve very soon. Ritah Nankunda (20) is one of the victims of poor medical and or negligence in our health establishments due to the low moral of the health service staff. Nankunda is believed to be out of danger by a Midwife/Nursing Sister - Prossy Bulega who is attending to her at Royal Domiciliary Clinic at Seguku - 6miles Entebbe Highway in the neighbourhood of Doctors' Clinic. Ritah had been attending clinic for expectant mothers prior to Friday 14th May 2010 when she delivered from Kampala City Council clinic near the Parliament Building where she had been paying visits. It looks like the case after delivery was beyond the authorities at the City Council hence referred her to Mulago Referral Hospital. She was admitted to award of those who had received operations, but some how, the medical staff did not give her the necessary attention. She was even told to get off the bed and put on floor. After giving her some medicines, she says, she was discharged. At the time Bulega received her at Royal Domiciliary Clinic, the state in which she was is not easy for me to explain, but Bulega can tell. According to Prossy, Nankunda will need an operation when she recovers; again the details are beyond the scope of this communication and client privacy etc. The patient is on: 0779388929. May be I would not have made this communication, but Nankunda is a poor young woman who can be saved and needs the assistance of those with some resources that can be spared to save life. ii. Proposals for the Estimates of Revenue and Expenditure for Financial Year 2010/2011. one of despair, to one of great hope and positive aspiration. 4. Mr. Speaker Sir, due to sound economic management under the NRM Government, the economy has continued to grow at a pace averaging 8.4 per cent since 2006. This solid performance is even higher than the remarkable economic growth that Uganda has experienced since 1986, which has led to a six-fold increase in the size of the economy that now stands at Shs. 34.2 Trillion. iv. Finally, I will announce the Proposed Taxation and Revenue Measures and outline the Way Forward. 6. Mr. Speaker Sir, a year ago, I presented a budget strategy which broadly focused on improving the business climate of the country and revitalizing production through a range of strategic interventions. I am glad to report significant progress in the following areas:-. 7. Mr. Speaker Sir, the economy is estimated to have grown by 5.8 per cent in real terms in 2009/10, compared to 7.2 per cent growth recorded in 2008/09. This year’s performance is in line with the Eastern African region average growth rate of 5.75 per cent, which is the highest in Africa’s regions. This shows the resilience of the region to economic shocks. Honourable Members may recall that at this time last year, we were concerned about the impact of the global economic crisis on our economy, which has had a secondary lagged effect. The slowdown in economic growth has also been attributed to the drought experienced in most parts of the country, rising oil and fuel prices. on commodity prices. The country experienced high fuel prices in March this year due to shortages arising from the maintenance of the oil pipe line from Mombasa to Eldoret. This resulted in higher fuel pump prices and increased costs which were passed on to consumers through production and transport prices. 9. Mr. Speaker Sir, in response to these developments, Government prudently implemented structural and anti inflationary policies in collaboration with Bank of Uganda. Government’s timely interventions in the Agricultural Sector, together with the increased regional trade, also led to greater agricultural productivity and output, keeping food inflation in check. 10. Mr. Speaker Sir, as a result, inflation has since reverted to single digit from 13.9 per cent last financial year, to 4.4 per cent by the end of May 2010. 11. Mr. Speaker Sir, the exchange rate appreciated from over Shs.2,100 in July 2009 to Shs.1,874 in November due to increased proceeds from exports, increased inflows of foreign exchange from FDI and remittances from abroad. However, it depreciated to Shs.2200 in May 2010 driven by increased demand for dollars, together with the depreciation of the Euro against the dollar. The turmoil in the Euro Zone also has contributed to the strengthening of the dollar against other currencies as global markets continue to shift into dollar denominated assets. 12. Mr. Speaker Sir, the performance of exports of tea, tobacco and fish sectors was over 25 per cent higher in this Financial Year than in the previous financial year. Ninety-Six Thousand (96,000) metric tons of tobacco was exported, compared to Twenty-Six Thousand (26,000) metric tons in the previous year. Recently, the volcanic ash cloud which affected Europe caused an estimated 35 per cent drop in flower exports and 6 per cent reduction in fish exports in the month of April 2010. However exports in both the flowers and fish sectors have since rebounded. Import growth has stagnated due to fall in private sector imports. The total import bill for the twelve months up to end of March 2010 was around US $3.9 billion, down by 6.1 per cent compared to the previous year. 13. Mr. Speaker Sir, Uganda is the only country in the East African region which did not resort to the International Monetary Fund for balance of payments support during the global economic crisis. This was due to the strength of our international reserves position, which stood at 5.3 months of imports, reflecting the sound economic management by the NRM Government. cent, which is within international standards. 15. Due to competition in retail banking, the private sector is demanding diversified banking products from the sector beyond what is covered under the existing Law. I will therefore be submitting amendments to the Financial Institutions Act 2004 to Parliament which will allow commercial banks to offer bank assurance, financial products under Islamic banking and other market responsive products, to their customers. This will allow banks to move into previously untapped markets. 16. The Rural Financial Services Strategy continued to increase coverage of services to the wider population, especially in rural areas. Government has facilitated the establishment and strengthening of the financial infrastructure of Savings and Credit Cooperative Organizations (SACCOs) and other micro finance institutions as means for financial intermediation. There are now over 1,060 sub counties, city divisions and municipal divisions with registered SACCOs, having over one million members in total. The SACCO infrastructure has generated Shs 44 billion as share capital, Shs 83 billion as savings and Shs 122 billion in their lending portfolio in the Financial Year 2009/10. 17. Mr. Speaker, Sir, technological innovations have now made it possible to extend financial services to millions outside the formal banking system. A case in point is mobile telephone money transfer services that allow mobile phone users to make financial transactions or transfers across the country conveniently and at low cost. MTN Mobile money, ZAP and M-Sente have demonstrated that low cost means that use modern technology can effectively expand the financial services frontier. Today, millions of Ugandans use mobile money to make payments, send remittances, and store funds for short periods. These innovations have illustrated how financial services can be extended to millions of people outside the formal banking sector at low costs. 18. The Bank of Uganda continues to maintain effective regulatory and supervisory safeguards to ensure that expanded access to banking is not at the expense of financial stability. Because of prudent regulation, the banking sector in Uganda has been insulated against the contagion of the toxic assets from the Global banks. I commend the Governor Bank of Uganda and his team for managing the sector efficiently. 19. Mr. Speaker Sir, Lending rates on shilling denominated loans also fell from 21.8 per cent in August 2009 to 19.6 per cent in January 2010. However, this is still higher than the EAC regional average, which is at about 15 per cent. as well as maintaining macroeconomic stability and fiscal consolidation. equity markets, in general. 92 per cent of shares in the NIC were bought by Ugandans. I urge companies to embrace capital markets as a source of long term financing as we broaden the equity market. This is yet another record success of the NRM Government’s Policy of Privatization of Public Enterprises, which give Ugandans an opportunity to directly own shares of Public Enterprises. 21. Mr. Speaker Sir, the Securities Central Depository which was recently launched will foster safer and more efficient clearance and settlement of securities. It will also lead to electronic trading once the Automated Trading System is in place. This computer-based trading will enable negotiations to take place between bidders anonymously, thereby reducing the cost of information exchange between participants. This system will also be linked with other East African stock markets. 22. Mr. Speaker, Sir, while our insurance service penetration is still low by regional standards and accounts for less than one per cent of GDP, we commend the effort of the industry players who have played a big role to create awareness. As a result, the industry has registered an increase in insurance premium from Shs.129 billion in 2008/09 to 167 billion this year, dominated mainly by non-life insurance which accounts for over 90 per cent of the policies underwritten. 23. The Insurance Industry has also taken advantage of the opportunities available under African Trade Insurance (ATI) Agency and so far, the Agency has underwritten 14 projects in Uganda worth 106 million dollars in the areas of manufacturing, telecommunication and infrastructure. I therefore urge the Ugandan business community to take advantage of the insurance policies available at ATI to increase competitiveness and profitability of their businesses by hedging against insurable risks. 24. Mr. Speaker Sir, the expenditure outturn for the Financial Year 2009/10 budget is projected at Shs 6,576 billion, financed by domestic sources amounting to Shs 4,856 billion and Shs 1, 720 billion from external loans and grants. URA revenue is projected to perform better this year with a 17.6 per cent annual growth compared to the 15.6 per cent growth in the previous year. This revenue effort is equivalent to 12.5 per cent of GDP which is still low, though is a great improvement from the 4.23 per cent of revenue as a percentage of GDP, collected in 1987. Several reforms are currently being implemented to improve tax administration. 25. Mr. Speaker Sir, overall expenditure is projected to perform at about 90 per cent, the underperformance being on account of slow performance of the development budget. This low absorption is expected to be transitory, as Ministries, Departments and Agencies become more conversant with new conditions precedent to accessing funds, which include preparation of work plans, recruitment and procurement plans which are meant to enable them implement their activities in a timely manner. The new requirements were instituted by my Ministry to ensure Value for Money right from the time of disbursement of Government funds. 27. Mr. Speaker Sir, in the budget statement of this financial year, I announced a number of measures aimed at stimulating economic growth with substantial allocations in the following areas; (i) increasing agricultural production and value addition; (ii) transport infrastructure; (iii) energy infrastructure; (iv) human resource development; and (v) peace, security and good governance. 28. For transparency and accountability, which is a cherished principle by the NRM Government, it is imperative that I present the key achievements and challenges of the Financial Year 2009/10, before I present the Budget Strategy and Priorities for Fiscal Year 2010/11. 29. In the agricultural sector, the budget for the FY 2009/10 set out to address the biggest constraints to agricultural production including crop pests and livestock diseases, lack of suitable inputs, appropriate technologies to increase productivity, the vagaries of weather and limited access to financial and extension services. compared to 2.3 per cent in the previous financial year, even as falling fish stocks led to the fisheries sub-sector experiencing an annual decline of 7.3 per cent. The bumper harvest of largely maize produce, caused challenges of post harvest handling which Government is addressing. 31. Mr. Speaker Sir, the restructuring of NAADS has enabled the organization to provide better advisory services. NAADS has enabled farmers to access technologies and gradually shift from subsistence to market based activities. It supported the establishment and development of over One Thousand (1,000) sub-county farmer fora and over Sixty Thousand (60,000) technology learning sites. During the financial year, NAADS extended direct support to about Thirty One Thousand (31,000) farmers in form of improved technologies for demonstration and expanded coverage. viii. Wangkwok in Kitgum District. x. Kasiira in Kumi District. vii. Flower and Horticulture equipment. vi. Renovated and equipped a vaccine production pilot plant. 35. The above technologies have all been prototyped and are ready for commercialization. Two virtual incubation centers have been built in Lira district for peanut butter production, and in Mpigi district for fruit juice processing. iii. Providing support to commercial enterprises based on technologies developed at the University. Namanve was completed and 230 plots were allocated to investors. 38. The Uganda Development Corporation (UDC) which was revived as the investment arm of Government and is already playing a role in the implementation of the Soroti Fruit Processing Facility Project; the Tororo Phosphates Mining Project; and the manufacture of iron and steel from the abundant iron ore deposits in Kabale and Kisoro Districts. Marks Bill, 2008; E-Transactions Bill ,2008; Computer Misuse Bill, 2008; E-Signature Bill, 2008; Industrial Property Bill, 2009 Anti Money Laundering Bill. The following draft bills are before Cabinet: Sale of Goods Bill, 2008, Counterfeits Bill, 2009; Capital Markets Amendment Bill, 2009; Free Zones bill. 40. Mr. Speaker Sir, through you I want to thank the Eighth Parliament for enacting those laws and request for the speedy consideration of the pending enabling legislation. to employ themselves but have each generated one to two additional jobs. 43. Mr. Speaker Sir the Uganda Road Fund (URF) commenced operations in January 2010 and has financed the routine maintenance of over Twenty Nine Thousand (29,000) kilometres of road, the rehabilitation of about One Thousand Two Hundred (1,200) kilometers and maintained 87 bridges. Under the District, Urban and Community Access Road (DUCAR) network, an additional Thirty One Thousand Seven Hundred (31,700) kilometers and about Five Thousand (5,000) kilometers of community access roads have been maintained under routine and periodic maintenance respectively. In order to address the slow pace of road maintenance in Kampala City, with effect from the third quarter of financial Year 2009/10, the five (5) Divisions of Kampala City Council started receiving road maintenance funds directly from the Uganda Road Fund. This will continue as a means of improving road maintenance in the city. 44. Mr. Speaker Sir, I am happy to report that the power supply has considerably increased since mid-2005. As stated in the State of the Nation Address, Government’s major priority in the energy sector remains focused on increasing generation and transmission capacity through construction of large and mini hydro power plants. The construction of the 250 MW Bujagali Hydropower Project is on course and will be completed as scheduled. The feasibility studies for the 700MW Karuma and the100 MW Isimba Hydropower projects are also underway. The 13 MW Bugoye renewable energy project was also completed and commissioned during the financial year. Load shedding is currently at a minimum, and only localized due to network overloading. Bumbeire in Bushenyi, Atari in Apac; Buwekula-Musika-Kanyogoga in Jinja, and Kiyunga-Mbulamuti in Kamuli. will be submitted to Parliament in the next financial year. In Financial Year ending, as articulated in the State of the Nation Address, 33 out of 35 wells have yielded hydrocarbons, a positive sign of existence of oil. 50. Government has also financed the completion of construction of a total of One Thousand Eight Hundred (1,800) classrooms. An additional 2,600 new classrooms, 130 multi-purpose science rooms, 28 libraries, and 23 teachers’ houses are in final stages of completion. 51. In higher education, Government recognizes the contribution of the Private Sector to the provision of access to higher Education. Accordingly, Government has supported the following Private Universities with a total of Shs. 7.7 billion. These are: Bugema University, Busoga University, Kampala International University, Kumi University, Mountains of the Moon University, Nkumba University, Uganda Christian University in Mukono and Uganda Martyrs University in Nkozi. Government has also supported the Islamic University in Uganda by guaranteeing their borrowing from the Islamic Development Bank. 52. In order to provide the necessary human resource for the petroleum sector, the Uganda Petroleum Institute was established at Kigumba, with an initial allocation of Shs.1.5bn for infrastructure development, and the Institute is now operational. I am happy to report that thirty students in geo-physics, chemistry and oil science related disciplines have been admitted to the institute this year. 53. Mr. Speaker Sir, with respect to vocational education and training, Government completed construction of 44 classrooms and 34 workshops in 14 vocational schools enrolling Primary 7 leavers in the financial year now ending. Furthermore, Machinery & Equipment has been supplied to 15 vocational schools enrolling Primary 7 leavers. i. Construction of a Library block on going at Uganda College of Commerce, Kabale. ii. Construction of a Library block on going at Uganda Technical College, Elgon. iii. Rehabilitation of classroom and dormitory at Lake Katwe Technical Institute. iv. Provision of 3 workshops, mainhall, and 2 dormitories at Nalwire Technical Institute. v. Training of 80 Instructors and 60 technical Teachers is ongoing at Uganda Technical Colleges at Bushenyi, Elgon, Kichwamba, Lira and the Nakawa Vocational Training Institute. vi. Procurement process for construction of an administration block, 2 workshops and 2 Dormitories at Ahmed Sseguya Memorial technical Institute is ongoing. 55. Mr. Speaker Sir, according to the 2009 Uganda Malaria Indicator Survey, the proportion of households having at least an Insecticide Treated Mosquito Net (ITN) increased from 49 per cent in the Financial Year 2008/09, to 59 per cent this year. In November 2009, the Global Fund in Geneva disbursed US Dollars 40 million to Uganda for procurement of Long Lasting Insecticide Treated Nets (LLITNS). Delivery of the nets throughout the country, which started in February 2010, is expected to end this financial year. rehabilitation of 13 Health Centre IVs and 26 Health Centre IIIs in south western Uganda districts of Mbarara, Isingiro, Ibanda, Kiruhura, Ntungamo, Bushenyi, Rukungiri, Kabale, and Kanungu is at an advanced stage. However, delays have been reported in the rehabilitation works in Soroti and Buhinga. Abim, Olelpec and Alamia valley tanks. Other ongoing projects include Akwera dam in Lira, Lutunku and Kisozi valley tanks in Sembabule, Longoromit dam in Kabong, Kobebe dam in Moroto and Arechet dam in Moroto district. The challenge in this sector is unit costs which appear to be disproportionately higher than the increases in the underlying cost of inputs. Kyenjojo, Kabarole, Kasese, Bushenyi, Mbarara, Masaka and Mpigi. The National Information Technology Authority (NITA-U) setup Business Information Centres in the districts of Busia, Iganga, Lira, Kamwenge, Mityana and Rukungiri. i. Over 700 classrooms are under construction. ii. About 55 Classrooms have been rehabilitated. iv. 930 toilet stances are being built. v. Over 220 boreholes are under construction. vi. About 30 shallow wells are under construction. vii. 160 boreholes have been rehabilitated. viii. 46 maternity wards under construction. ix. 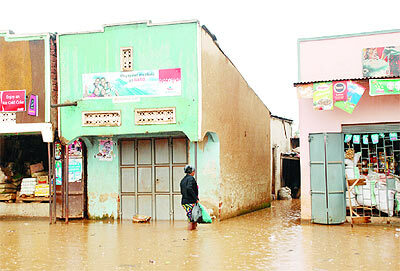 203 Health workers’ houses are under construction. xi. Over 25 new Health Centre IIs are under construction. xiii. Over 360 km of community access roads opened. 62. In addition, the resettlement programme for former Internally Displaced Persons (IDPS) registered remarkable achievements. For example, under the tractor hire scheme, a number of tractors were procured and communities were supported to open up land which has increased food production in the region. Seven Thousand Nine Hundred (7,900) hectares of land has been allocated for ploughing under the scheme. Iron sheets were procured and distributed to returnees. We have piloted construction of low cost housing using Hydraform technology in Karamoja, Teso and Acholi Regions, which has worked well. Government has also procured 300 ox-ploughs, 700 oxen, 350 heifers to distribute to farmers in the Lango sub region. 63. Mr. Speaker Sir, last month Government launched a 5 year Development Plan for the Luwero-Rwenzori Reconstruction Programme. This is as an affirmative plan for this area that was affected by the NRA protracted war and the ADF insurgency. In FY 2009/10, Shs. 10 billion was provided to cover the 40 districts in the two regions. So far grants have been provided to 240 parishes, 60 sub-counties and 7 districts to support interventions in agricultural commercialization, roads and bridges, schools and water in the cattle corridor. In financial year 2010/11, the plan will focus on establishing secondary schools in 50 sub-counties and primary schools in 108 parishes which have none. In addition, support will be extended to water, roads and bridges. economy is still clouded by a high degree of uncertainty but this, so far, should not warrant a radical change in the near term macroeconomic policy of the budget which I am presenting to this August house today. We shall continue to monitor the developments closely and we stand ready to adjust policies promptly if needed. 65. Mr. Speaker Sir, regardless of the recent developments, the economic growth outlook for the medium term remains positive and reflects the resilience of our economy because of continued economic stability and diversification of our exports in regional markets. The economy is projected to grow at 6.4 per cent in the coming financial year, and at an average rate of 7 per cent for the outer years. This compares favourably with a forecasted growth trends in the Eastern Africa region where growth is expected to rebound to rates of 6 per cent per annum. million over the last three years. I will be requesting the Bank of Uganda to revive the study of the Domestic Resource Costs (DRC) and also compile the Index of Agricultural Production Statistics, so as to assess the relative price competitiveness of agriculture commodities. 67. Mr. Speaker, Sir, the NRM Government remains committed to low and stable inflation over the medium-term in order to provide stable environment for investment. Government will continue to aim at stimulating demand in the economy, while keeping inflation at around 5 per cent. National Transmission Backbone Infrastructure (NBI), will also reduce the cost of Communication. 69. Mr. Speaker, Sir, on 1st July, 2010, the East African Community will establish a single economic territory within which business and labour operate. It is envisaged that the EAC Common Market will stimulate greater productive efficiency, higher levels of domestic and foreign investment, increased employment, and growth of intra-regional trade and of extra-regional trade. The Common Market allows freedom of movement of goods, services, capital, business enterprises and skilled labour within an area bound by a Customs Union. The Customs Union has been largely completed, and the entire EAC region is looking forward to implementation of the Common Market. We give credit to His Excellency the President for his commitment and strong support towards regional integration. require identification and targeting of key areas of the economy responsible for accelerating economic growth and socio-economic transformation. vii. Poor mind-sets, negative attitudes and perceptions that limit business and entrepreneurship, limited use of modern science and ICT tools and discrimination against women in certain spheres. 72. Over the medium term, the Ugandan economy will be faced with a number of macroeconomic management challenges, but also a number of opportunities. Among the opportunities are the continued progress towards economic integration, particularly in regard to the East African Community and the discovery of oil resources. The former provides opportunities for increased trade and more employment opportunities. 73. At the macro-level therefore, Government policies and the budget allocations will be geared towards ensuring enhanced efficiency, competitiveness and productivity, if the country is to benefit from regional integration. budget will be about 19.1 per cent of GDP. Domestic sources are projected to finance about 75 per cent of the budget in the coming financial year, while the balance of 25 per cent will be provided by our development partners. This is in line with our objective of gradually increasing the share of the budget financed through domestic sources. 75. As the Ministry responsible for mobilizing resources for Government, I wish to register our gratitude to our development partners for the continued support to our country. VIII. BUDGET PRIORITIES FOR FINANCIAL YEAR 2010/11. v. Improving Public Service Delivery. 77. Mr. Speaker Sir, I now wish to turn to the details of the budget priorities for the Fiscal Year 2010/11. 78. Mr. Speaker Sir, whereas the national road network has registered substantial progress, the status of our road infrastructure still remains inadequate by regional and international standards. This hinders access to markets and negatively affects overall economic performance by imposing high transport costs. The focus of the roads sector in FY2010/11 will be concentrated on completing on-going projects and road maintenance to clear the backlog. (154km), Busega – Masaka (124km) and Busega – Mityana (57km) Roads. ii. Commencement of the upgrading to tarmac or reconstruction of the following roads: Mbarara – Kikagati (75km), Gulu – Atiak – Bibia (Sudan border)108km), Vurra – Arua – Koboko – Oraba (92km), Nyakahita – Ibanda – Kamwenge – Fort Portal (208km), Fort Portal – Bundibugyo – Lamia (104km), Mukono – Kyetume – Katosi/ Kisoga – Nyenga (72km), Ntungamo – Mirama Hills/ Ishaka – Kagamba (72km), Rukungiri-Kihihi - Kanungu-Ishasha (74km), Moroto – Nakapiripirit (90km), Kapchorwa – Suam, (77km), Mpigi – Kabulasoke – Maddu – Sembabule (135km), Hoima – Kaiso – Tonya (85km), Mbarara – Katuna (152km), Mukono – Jinja (52km), Mukono – Kayunga/ Nkoloto – Njeru (94km), Tororo – Mbale – Soroti (155km), Malaba/Busia – Bugiri (82km), Kawempe – Kafu (166km), Kafu – Karuma (67km) and Jinja – Kamuli (60km) and Kamdini – Gulu (60 km). iii. Completing the rehabilitation of the following roads: Kampala – Mukono (23km), Lira – Kamdini road (68km), Masaka – Kyotera; Villa/Maria – Nyendo roads (38km) and Mbarara – Ishaka/ Mbarara – Ibanda roads (123km). iv. Completing the design for upgrading to tarmac of the following roads: Olwiyo- Gulu- Kitgum (167.1 kms), Muyembe- Moroto- Kotido (291.5 kms), Soroti- Katakwi- Moroto- Loktanyala (290 kms), Masaka- Bukakata (36Kms), Mpigi – Maddu- Sembabule (124Kms), Mukono-Kyetume-Katosi/Kisoga-Nyenga (74 km), Villa Maria – Sembabule (48 Kms), Rukungiri – Kihihi – Kanungu – Ishasha (74Kms), Kyenjojo- Hoima-Masindi-Kigumba (238Kms), Musita – Lumino – Busia/Majanji (140Km), Tirinyi – Pallisa – Kumi/Pallisa – Mbale (111Km), Mbale –Bubulo – Lwakhakha (41 kms), Namagumba- Budadiri- Nalugugu (30 kms), Kamuli- Bukungu (64 Kms), Hoima Wanseko (111km), Kayunga – Galiraya (88km). v. Completing the design for capacity improvement of the following roads: Kampala – Jinja (80km), Kibuye – Mpigi (30km), Kampala – Entebbe (35km) and Kampala Northern Bypass (17.5 km). Commence the design for reconstruction of Tororo – Mbale – Soroti (156) and Lira – Kamudini – Gulu (122km). Bunyamusenyu bridge on River Kafu which link Nakaseke to Masindi will also be constructed. to provide directly to the City’s Divisions for road maintenance. Government has also embarked on plans to construct the Kampala-Entebbe express highway. This is expected to greatly improve the traffic flow between the City and the International Airport. 82. In order to address the challenge to maintenance and rehabilitation of district roads, urban roads and community access roads in the country, Government has secured funding to procure road equipment for zonal, district and urban road units. In a bid to improve transport infrastructure within Kalangala Islands, I have made a provision of Shs. 1.0 billion for the shadow road toll to enable the private contractor commence construction of the Kalangala Main Island Road under a Public Private Partnership Agreement. (UNRA) from the Local Governments. 84. Under water transport, Ferries for Obongi – Sinyanya and Rwampanga – Namasale will be provided. The scope of works for the refurbishment of the MV Pamba is now complete and its rehabilitation to restore its sea-worthiness will be undertaken in the next financial year. 85. Mr. Speaker Sir, in order to improve the procurement process, next financial year, UNRA will strengthen its capacity in Contract Management Government will also institute an Inter-Ministerial Technical Committee in the sector to ensure cooperation across Government agencies. 86. Mr. Speaker Sir, in the coming financial year, the Auditor General will periodically undertake Financial and Technical Audits on road construction works before the works contract are completed, to ensure that quality is maintained. studies for development of a Standard gauge Railway between Kenya and Uganda. Hydro power will continue and the first turbine will be commissioned in October 2011 raising installed generation capacity from the current 550 MW to about 800MW in 2012 when the Bujagali Project is fully commissioned. The feasibility study for the engineering design for the 700 MW Karuma hydro power project and 100 MW Isimba hydro power project will be completed. i.) complete upgrading of 132 KV Tororo-Oluyo-Lira and Mutundwe-Entebbe transmission lines; ii.) construction of the following lines; the 220 KV Bujagali-Kawanda-Mutundwe; the 132 KV Mbarara-Nkenda , Nkenda-Mputa, Mbarara-Mirama, Masaka-Mwanza, Jinja-Tororo-Lessos, Kawanda-Masaka, Karuma-Lira, Kaiso Tonya-Fortportal-Nkenda, Opuyo-Moroto, Karuma-Oluiyo and Mbale-Nakapiripirit-Moroto. iii.) Regional inter-connection of Bujagali-Tororo-Lessos (Kenya); Mbarara-Mirama-Birembo (Rwanda); Masaka-Mwanza (Tanzania) and Nkenda-Beni-Rutshuru and Beni-Bunia (DRC). 90. Mr. Speaker Sir, in order to achieve the NRM vision of developing a self sustainable and private sector led economy, Government will continue to address impediments to private sector development. As a key priority in the coming financial year, Government will support industry by enabling the acquisition of appropriate technology, financial capital, and skilled human resource by the private sector complemented with a conducive entrepreneurial environment. translating Research & Development results into practical products and processes, using the business incubation model. Government will continue to support UIRI to expand its programs in business incubation by establishing four multipurpose value addition centers across the country and to expand its Small and Medium Enterprise outreach programme, among other interventions. An allocation of Shs. 1.207 bn has been provided to UIRI to set up a Science Unit. Makerere University will also receive an additional Shs. 5 billion for innovation in engineering and technology research and development. In order to enhance and retain high scientific skills in the country, I have provided Shs. 18 billion for salary enhancement for scientists. 92. In addition, an allocation of Shs. 1bn has been provided to Enterprise Uganda to provide existing entrepreneurs and enterprises with the necessary skills and training to re-orient their business processes to tested and fruitful ventures. 93. Mr. Speaker Sir, youth unemployment is a major concern to the Government. In the next financial year Government will set up a School Leavers Industrial Training Fund at the Directorate of Industrial Training. I am providing Shs. 2 billion for this Fund. Furthermore, in pursuit of employment opportunities for the youth, Government is sourcing funding to enable the acquisition of small scale machinery and processing units for ‘Jua Kali’ businesses. In addition, the Industrial Processing Venture Capital Fund will avail financing for bankable start-up ventures for University and College Graduates with interest rates not exceeding 5 per cent per annum payable within eight years. For a start, I am providing Shs 4 billion for the Fund in the next financial year. operationalisation, on a commercial basis, of the National Transmission Backbone Infrastructure (NBI) will commence in the first quarter next financial Year. The rain we saw yesterday, 22nd February 2010 in a good part of Uganda can better be utilized instead of being a liability if Government could prioritize water harvesting. Many roads were and are actually damaged by this run off, property including children being carried by the water. It is true if this water can be harvested at household level, people may access cleaner water for domestic use; much of it will not be available for damaging the roads, name it. I wish to propose that those who hope to take the country after 2011 should incorporate Water harvesting as a priority. 58. Mr. Speaker Sir, rainwater harvesting aims at supplementing other efforts to improve safe water supply, which currently stands at 65 per cent. The main intervention is to implement demonstration schemes and subsidizing of rain water storage tanks for basic household consumption and promote use through raising awareness. A total of 385 rainwater harvesting systems were constructed by 2007 in the districts of Mbarara, Bushenyi, Isingiro and Kabale Districts. In financial year ending, 340 rain harvesting systems are under installation in Kakyera, Lwamagwa, Ddwaniro, and Kyalulangira sub counties in Rakai District and in Namasagali and Balawoli Sub counties in Kamiuli Districts. which have short term gains like in this case the 2011 elections. never a non – sustainable one. lifts trouble to a higher plane of regard”. instituted as did the Entandiikwa will be most unfortunate. Nutrition and Early Childhood Development Project - Has it delivered? The question asked is whether this project (Nutrition and Early Childhood Development) actually has delivered. Findings Infobriefs reports on Good Practice in ongoing operational, economic and sector work carried out by the World Bank and its member governments in the Africa Region. It is published monthly by the Knowledge and Learning Center on behalf of the Region. The views expressed in Findings are those of the author/s and should not be attributed to the World Bank Group. In 1998, a $34 million World Bank loan for the Nutrition and Early Child Development Project (NECDP) was approved to support the National Program of Action for Children. The NECDP covered about 8,000 communities in 20 of Uganda’s 39 districts, selected based on levels of malnutrition, infant mortality, and primary school enrollment rates. The project sought to halve malnutrition among preschool children, raise primary school enrollment, reduce dropout and repetition rates, improve psycho-social and cognitive development, and increase the number of mothers practicing appropriate childcare. A strategic communication program was designed to help mothers and other caregivers adopt new behaviors needed to achieve project outcomes. It helped the NECDP team identify necessary changes in behavior, knowledge or attitude for all target audiences; frame project-related issues relevant to different stakeholders, such as parliamentarians, mothers, community leaders, educators, and local government administrators; craft persuasive messages according to their needs, concerns and perceptions; and use the most appropriate communication channels. • Monitoring and evaluation component to ensure that materials were disseminated via cost-effective channels of communication and that messages reached target audiences. Parliamentary support was not readily apparent as little as three months prior to project approval. Parliamentarians were locked in heated debates on whether it was in Uganda’s interest to borrow money for such a project. The national multi-media campaign C.H.I.L.D. (Community and Home-based Interventions for Long-term Development) aimed to raise awareness of caregivers of the risks and negative implications of stunting and to address behavior changes needed to prevent it. Days in communities and reminded parents to bring children for de-worming. Communication research demonstrated that current perceptions of proper childrearing were at odds with the new childcare concepts of encouraging the child to be active, inquisitive, and to explore his/her surroundings. Beliefs and attitudes about the “attention” a child needs emphasized meeting the infant’s basic needs for food, clothing and shelter, and downplayed the value of play and affection. Communication activities to trigger behavior change included modeling the new behavior through radio dramas and street theatre, disseminating information to clear up misconceptions about specific child rearing practices, and mass media edutainment via roadshows, songs, awareness raising workshops in district and community centers. Posters/pictographs, newspaper inserts and radio spots carried messages about healthy diets, prevention from illnesses, helping a child achieve their potential, brain development, nutrition, hygiene and hand-washing practices. A community guide and training booklet were also distributed. Community-based activities (nutrition counseling, group meetings, home visits, training of community health workers and teachers) complemented and reinforced media-driven messages. Source: Evaluation of Communication Activities. Steadman Research Services, Uganda, June 2003.
and songs to provide information about child care, food production and income-generating possibilities because they conveyed messages through interpersonal contact, a more effective channel than written materials. Higher school enrollment: Campaign messages on the benefits of ECD practices appear to have had reinforcing effects on increasing demand for early schooling. The longitudinal study confirmed a positive impact on enrollment both relative to the control group and relative to the initial enrollment in the project communities, particularly for pre-school age children. Findings further suggest that by age 12.5, the average child in the project area will have higher school attainment than children in non-project areas. • Develop a comprehensive communication strategy during project design. This can provide a clear understanding of the perceptions and positions of key stakeholders and address perceived fears and barriers to change. • Integrate upstream and downstream communication. While upstream communication is necessary to obtain support of the project’s key “influencers”, downstream communication is needed to help project beneficiaries learn about new development concepts and practice new skills. • Design a client-centered, research-driven and participation-based communication strategy. Effective communications is grounded on knowledge of the client’s perspective. • Articulate behavior change required in Project Appraisal Documents (PADs). Include a communication strategy that identifies what knowledge, attitudes, and behaviors need to change for each target group. • Measure behavior change, not behavior change communication inputs. • Create national partnerships and build national capacity for communication. Behavior change is a long-term process; national groups are best able to maintain activities over the long term. Improved health and nutritional status: Malnutrition among children (0-36 months) was reduced by 30% in the project area. Exclusive breastfeeding, supplementary feeding, immunization rates, and intake of Vitamin A, and de-worming among children less than 72 months of age improved. * Help to generate additional resources and manage their money efficiently in order to provide adequate childcare. The project began with Formative Communication Research to identify the beliefs and perceptions of the target audiences, guide the communications strategy process, and develop 'client-oriented' messages. Early Childhood Development, Children, Rights, Health. 38% of children under six years of age in Uganda are affected by stunting, in comparison to two percent of the general population worldwide. Therefore nearly half of Uganda's young children are physically under developed as well mentally under developed. If these problems are not addressed and rectified before a child reaches the age of six, that child will be stunted for life. World Bank in partnership with Ministry of Health. This publication is the first in a series of Working Papers sponsored by the Development Communication Division (DevComm) of the World Bank’s External Affairs Vice-Presidency. This series is designed to share innovations and lessons learned in the application of strategic communication in development projects. The series forms part of an effort by DevComm, together with other donors, non-governmental organisations (NGOs), and private sector partners, to mainstream the discipline of development communication in development practice. In order to demonstrate the value added by strategic communication, this report offers a detailed analysis of the communication strategy used in the Uganda Nutrition and Early Childhood Development Project (NECDP). * double the proportion of mothers practicing appropriate childcare, from one in four to one in two. * support communities through community grants and incentives. In fulfilling its objectives and activities, strategic communication was made an integral part of the project. The project firstly included the use of formative research about values and attitudes with respect to child rearing. This helped to understand and identify barriers to positive behaviour, to segment audiences to be reached, and to develop persuasive and relevant messages conveyed through effective channels of communication. According to the report, the communication strategy was developed in a highly participatory manner and included policymakers, district officials, community leaders, and grassroots organisations. It also included two-way communication activities developed to address the practices and behaviours that would need to be changed in order for the project to be successful. Equally important, the communication strategy also focused on securing policy and political commitment at the national level through advocacy efforts to increase awareness and to build consensus among parliamentarians and policymakers who can provide the leadership to marshal resources needed for long-term support to nutrition and child development initiatives. This was achieved through building coalitions of support and developing national champions of nutrition and child development programmes, while at the same time educating and motivating parents and caregivers to adopt positive behaviour change in the care, feeding, and active learning of children. According to the report, the final measure of an effective communication strategy is its contribution to the successful outcome of any development initiative. Evidence from the project’s longitudinal evaluation study confirms positive impacts of improved health and nutritional status, improved knowledge and practices in childcare, and increased demand for schooling and health and nutrition services. The purpose of the study was to identify the factors that inhibit and encourage positive parental interactions (PPI) with young children, in order to guide the development of project communication and intervention strategies. o Both men and women cited "work/lack of time/fatigue" as the major reason it would be difficult to interact with their young children. Parents are often away from the house for long period, and are often tired or ill.
o Parents thought of a bright child as one who is able to follow instructions, but they also mentioned characteristics that indicate creativity as indicative of intelligence. o Children who are withdrawn or slow to learn, as well as those who are disobedient or obstreperous, are considered "dull." o Innate intellectual capacity and being from a "good family" were seen as the main determinants of whether a child is bright or dull. o Although most parents thought that a child's success in school has to do with natural intelligence or coming from a good family, many also recognized that a parent can help prepare a child for school by teaching him/her things. o Mother's roles in affecting school outcomes were identified as feeding the child properly; teaching the child good manners and self administration; providing emotional support; teaching the child to read and write; and assisting with homework. o The father's role was seen as primarily provider of material support, responsible for school fees and supplies, food, and housing. Fathers were also seen as disciplinarians. o Most parents agreed with statements about positive parenting concepts. o Parents agreed that infants as well as children in the 4-5 year age range need a lot of attention. Attention was most often thought of as providing for physical needs, or, for older children, as instruction. o Most parents thought that talking to a young child stimulates the child to talk and learn. o The great majority of parents agreed that it is good if a child of 4 or 5 asks a lot of questions because it helps the child learn and reassures the parent that the child will be bright. o There was somewhat less consensus on punishing children or making them fearful of parents. This appears to be a matter of degree: Children should not be punished for every infraction or be afraid of parents; however, children are expected to obey and respect parents. o Most of parents said that they taught something to the child on most days--usually practical daily skills such as feeding or dressing oneself; domestic or agricultural tasks such as preparing food, washing clothes and dishes, or digging; or teaching "good behavior" such as greeting people and respecting parents. o The socio-economic context of poverty, hard work, and illness, as well as domestic problems such as drinking and parental discord, curtails parents' ability to spend time in relaxed interaction with their children. Instability and violence in the north present especially serious problems. Project messages must ask caregivers to do things that are in fact feasible within this context. Wherever possible, underlying socio-economic problems should be addressed. o It is unlikely that parents will be able to set aside time for special activities devoted solely to a child; opportunities must found within the course of routine activities to engage in PPI. "Active feeding" is such an example. o It will be important to promote ways of relating rather than specific activities; it appears that many parents define "attention" or "interaction" as providing for basic needs, instructing, or even disciplining. Since the concept of PPI may be new, it will be important to model the interaction, even if just verbally. It may be possible to convey the concept by referring to how some mothers interact with young infants. This kind of interaction with infants is more acceptable than with children aged 2 and above. o Portraying activities as "playing with the child" should be avoided, as many parents consider it undignified to be playing with children. Further, portraying situations that might be viewed as children taking too many liberties should be avoided; respect for parents is of very high value. o "Child-to-child" approaches should be considered, since very young children are often left in the care of children aged 7, 8, and 9.
o There is little awareness that positive interaction stimulates brain development. This is likely to be a good motivator, as doing well in school is valued. o PPI could be linked to a happy and harmonious family; parents desire family harmony. o The project will have to work on community norms, on making PPI more acceptable. There are fears, especially among mothers, that if they engage in PPI, neighbors will either be jealous or disapprove. o It does not appear that women can "negotiate" with fathers to spend more time with their children. Paternal involvement is better addressed through working on community norms by providing models, associating PPI with being a provider, and building on the positive outcomes of PPI that fathers identify in the behavioral analyses. This is a report on findings from formative communication research on parental interaction with young children in Uganda. The research was commissioned by the Nutrition and Early Childhood Development Project (NECDP), financed by the World Bank. The purpose of the research was to serve as the basis for planning strategies to promote more frequent positive interactions between adults and children under six years of age. The research was not intended to be a thorough sociological study of early childhood development (ECD) but rather to be a focused study to identify the factors that encourage and the factors that inhibit positive parent-child interactions, in order to guide the development of project communication and intervention strategies. It is not clear whether "Govt to provide milk to school children" as reported in the Monitor newspaper of Saturday, January 16 2010 by Ismail Musa Ladu is a component of the project as funded by World Bank. In the next two and half months about 300 schools in Kampala will have milk as part of it regular menu, a senior official at the dairy regulatory body confirmed the development on Wednesday. The Dairy Development manager, Mr Isha Muzira, said Dairy Development Authority (DDA) has finalised all the arrangement with the major stakeholders, including the diary processors to kick start the project dubbed “the school milk programme,” an initiative of DDA and development partners. “We should have started this pragramme in the beginning of the term, but the school closed before we met the Parents Teachers Association (PTA). We are going to do now and have the pilot project started by April or in the second term,” Mr Muzira said at the sidelines of a workshop organised by Land O’ lakes, an organisation that has an interest in the developing of diary sector in Uganda. The programme is a pilot project that will later be spread to other schools throughout the country. “Those under UPE will not be part of this programme because government has objected to introduction of anything that will have parents incur additional costs,” Mr Muzira said. Meanwhile, Land O’ Lakes, Country Manager Abbey Ariong said should more funds be available, attention of dairy development will be focused in the Northeastern part of the country. He said previously much attention was given to the western and central region because it has been largely peaceful compared to other regions. is necessary for economic development. 40 liters. This is much lower than 200 liters as recommended by FAO and WHO. processed due to an even lower demand for the processed dairy products. the parent has also not been possible as it leaves out children from poor families. Benefits of School milk program. number of sectors including health, education and agriculture. who is not because of the nutrients contained in. contribute to the country’s goal of increasing national literacy rates. •The schools will have relatively healthy children with high morale for education. impact of the tax revenue of the country as well. them to diversify production and penetrate other available market avenues. would become self-sufficient in milk. eliminate middlemen and make bigger profits from their farming efforts. potential for increasing tax revenue. 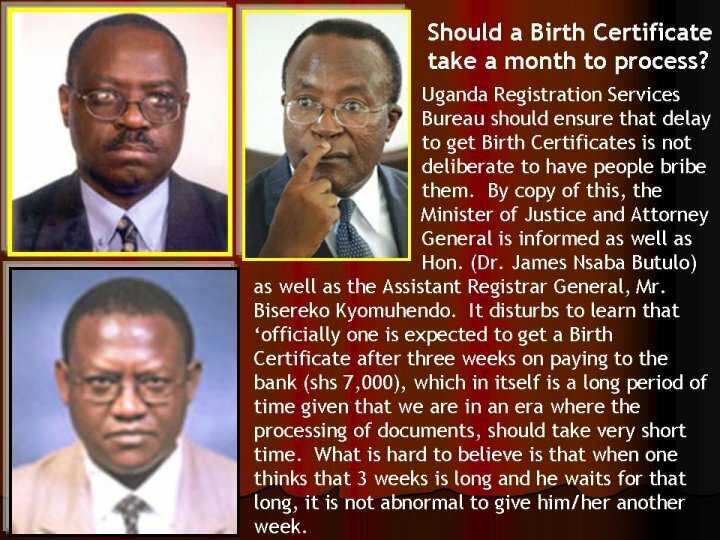 What is the truth about Uganda's I. D project?